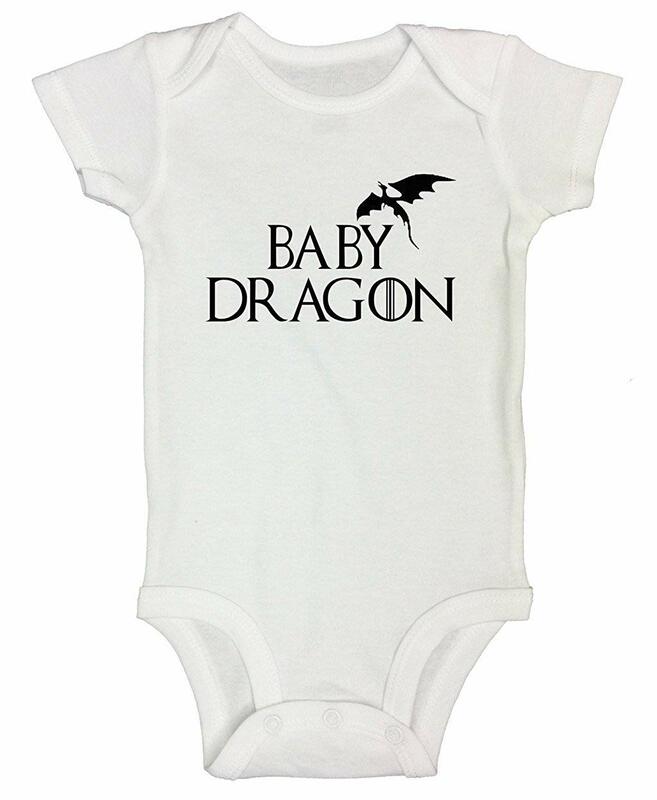 “Baby Dragon – Game of Thrones Inspired Design” Made on HIGH quality Gerber white onesie brand one piece underwear are a must have in a babies life. Designed and Sold Exclusively by Funny Threadz® Hems are nicely stitched to keep quality and great snap closure in perfect placement for changing diapers. Made of 100-percent cotton for comfort and softness. Our onesies have a very nice lap shoulder neckline making dressing easier. Give us a shot we have amazing line of funny Onesies guaranteed to bring much laughter and joy to your children’s life. If you prefer one of our brands over the other please note in ASAP after your order. We ship Gerber or Carter brand depending on our inventory levels.